Vivekanantha Homeo Clinic & Psychological Counseling Centre, Chennai: Suffering with Stress, where can i get best psychological Counseling and Homeopathy treatment together in Chennai, Tamilnadu? Suffering with Stress, where can i get best psychological Counseling and Homeopathy treatment together in Chennai, Tamilnadu? Question: Respected doctor, am 36 years old man, suffering with depressed mood, not able to concentrate the works, no interest in life, always am looking very sad, not like to speak with others, moaning myself, no proper sleep, for last 3 years, i have taken many Treatment but no effect, doctors old its due to stress, Why stress affect me? Is there is any treatment in Homeopathy system of medicines for stress?, whether counselling helps along with medication? In general, stress is related to both external and internal factors. External factors include the physical environment, including your job, your relationships with others, your home, and all the situations, challenges, difficulties, and expectations you're confronted with on a daily basis. Internal factors determine your body's ability to respond to, and deal with, the external stress-inducing factors. Internal factors which influence your ability to handle stress include your nutritional status, overall health and fitness levels, emotional well-being, and the amount of sleep and rest you get. As one example of stress related to a life transition, the teen years often bring about an increase in perceived stress as young adults learn to cope with increasing demands and pressures. Studies have shown that excessive stress during the teen years can have a negative impact upon both physical and mental health later in life. For example, teen stress is a risk factor for the development of depression, a serious condition that carries an increased risk of suicide. 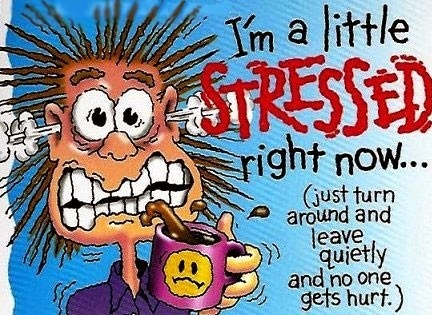 Fortunately, effective stress-management strategies can diminish the ill effects of stress. The presence of intact and strong social support networks among friends, family, and religious or other group affiliations can help reduce the subjective experience of stress during the teen years. Recognition of the problem and helping teens to develop stress-management skills can also be valuable preventive measures. In severe cases, a physician or other health care provider can recommend treatments or counselling that can reduce the long-term risks of teen stress. Family therapy is a type of psychotherapy. It helps families or individuals within a family understand and improve the way family members interact with each other and resolve conflicts. Family therapy is usually provided by therapists known as marriage and family therapists. These therapists provide the same mental health services as other therapists, simply with a specific focus — family relationships. Family therapy is often short term. You usually attend one session a week, typically for three to five months. In some cases, though, families may need more intensive treatment. The treatment plan will depend on your family's specific situation.